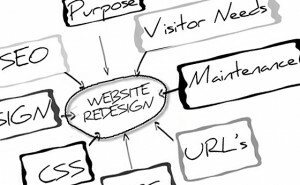 How Much Business Are You Losing Because Your Website Doesn’t Look As Good As Your Competitor? Our outstanding graphic and web design team focus on web and online marketing best practices — so we’ll modernise your brand personality into a professional, modern, easy to navigate, conversion-focused website design that is structured to build brand loyalty and illicit action (a phone call, a contact form submission, or a purchase). Ready to talk about how we can help with your Brisbane Website Redesign project?